The Toluna community offers our millions of members a chance to express their opinions. In our “Toluna Essentials” series, we’ll go over all the techniques you can use to get the most out of your experience with Toluna. Did you know that Toluna is available on the go? You can find our Toluna iPhone and optimized iPad app here. Currently the iOS app is available in the following languages: English, French, German, Spanish, Italian and Japanese. We also have an Android App that you can find on Google Playhere. Translations will be added on an ongoing basis so check back every so often for yours. 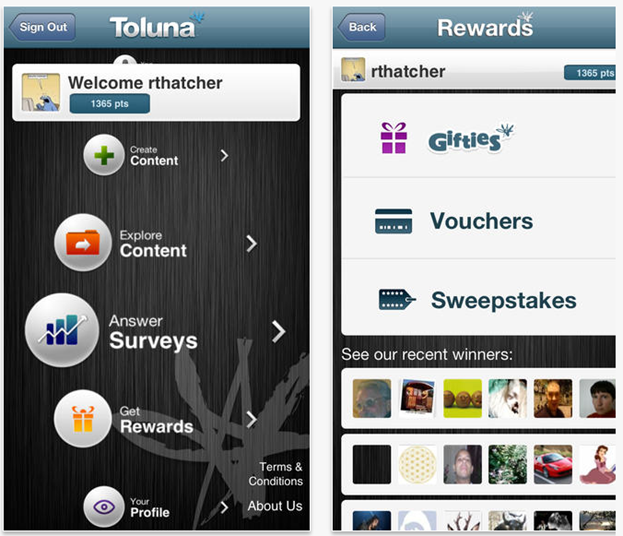 The Toluna app includes most Toluna.com features including Gifties, the Reward Center, content creation pieces (battles, topics, thumb it’s, and polls) along with most of our surveys. Please keep in mind that not all surveys on Toluna.com are mobile device compatible, so you may not have the same selection on mobile as on the site. Have questions or feedback for our Toluna Essentials Series? Leave a message on our wall.